Home > Blog > PEN Letter Writing Day. Beginning in 1921, PEN International was the first worldwide organisation of writers, and the first organisation to highlight that freedom of expression and literature could not be separated. 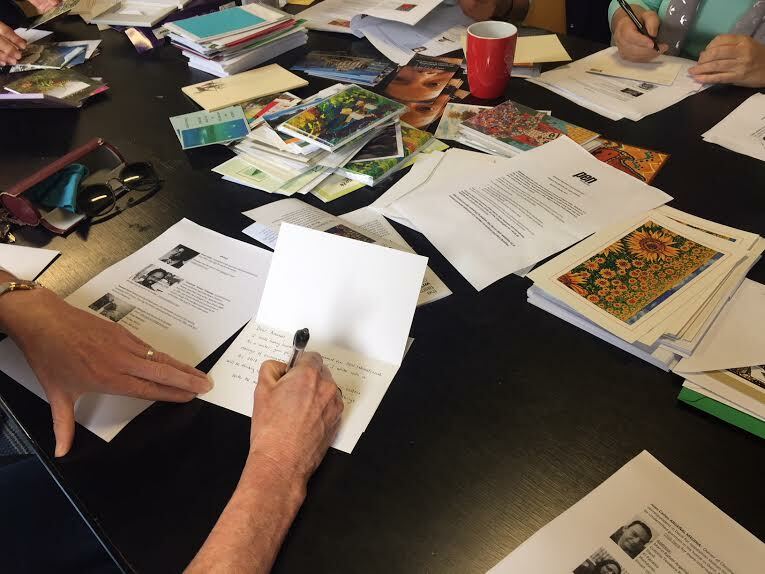 They encourage organisations to facilitate gatherings where people can write letters and greeting cards to writers who have been imprisoned for their writings and broadcasts. 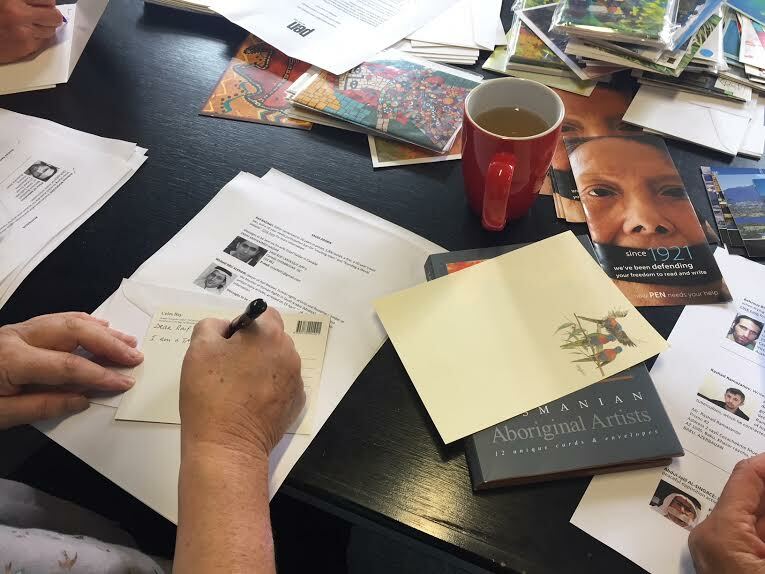 The Tasmanian Writers Centre recently held a day of letter writing where people could come into the centre and write messages of hope to writers across the world suffering for expressing their voices. The event was a great success, with many messages of support and hope composed to be sent across the globe. The day was organised by Tasmanian writer Terry Whitebeach, who has just been highly commended for a Human Rights award at Government House for her work with PEN letter writing. Terry attended the PEN AGM in Melbourne in November where she was able to connect with other writers who support PEN International and discuss the human rights projects they are involved with. PEN not only provides messages of support and solidarity for imprisoned writers, but also alerts authorities and governments that the international writing community condemns the actions of the country in question. For more information about how you can get involved and support PEN, visit http://www.penmelbourne.org.